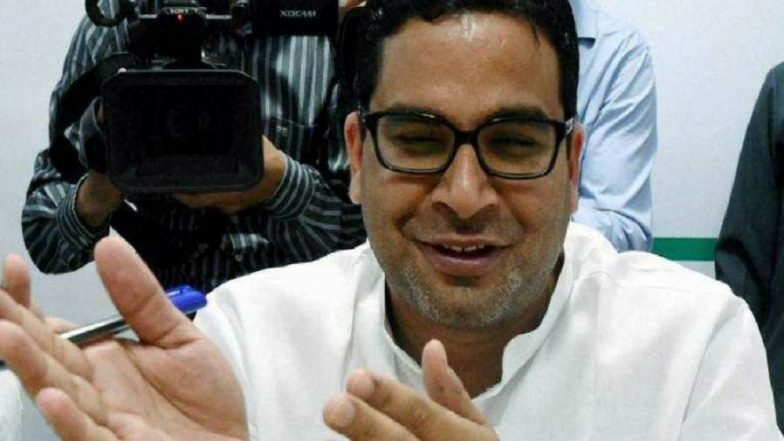 Patna, April 13: Janata Dal (United)'s second-in-command Prashant Kishor is locked in a heated war of words with the Rashtriya Janata Dal (RJD) on social media after former chief Rabri Devi stoked a row with her startling claims in a recent interview. Rabri told a daily that Kishor had reached out to Lalu ahead of the Lok Sabha elections, seeking a "merger" between the two parties. Rabri had further alleged that Kishor wanted Nitish to be projected as the prime ministerial candidate of the Mahagathbandhan ahead of the 2019 polls, and in return, he would endorse Tejashwi as the chief ministerial candidate for 2020 Bihar assembly elections. Nitish Kumar Wanted to Quit NDA, Rejoin Grand Alliance in Bihar: Lalu Prasad Yadav. Her claims rattled the JD(U) camp, with Kishor taking it to Twitter to dismiss the allegations. The party vice president has dared the RJD leadership to hold a joint press conference to prove their charges. "Those convicted or facing charges of abuse of public office and misappropriation of funds are claiming to be the custodians of truth. Whenever you (Lalu Prasad) wish to, we can jointly address the press to clarify who had offered what," he said. JD(U) insiders claim that Kishor was instead pitched by Lalu to bring Nitish back into the Mahagathbandhan fold. The Bihar Chief Minister, however, had decided not to join hands with the RJD again after breaking the alliance in 2017. Meanwhile's Kishor's stinging tweet against Lalu elicited a counter-attack from the RJD on Twitter. Calling him "bazaaru", the party said their supremo holds far more acumen and credibility than a poll strategist-turned-politician. "Our party chief has more experience than your age. There are so many ‘bazaaru’ (arbitrageurs) and short-lived politicians like you have come and gone. Your fraud will not work here. You sell your stuff to Nitish-Modi. If we reveal the truth, you will lose your worth," the RJD said.